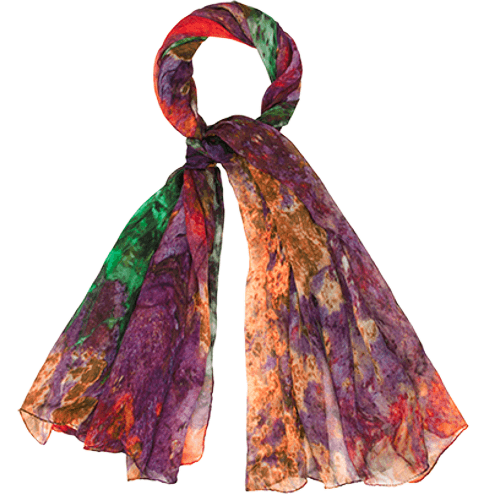 This wonderfully evocative modal silk scarf featuring a high resolution scan of a beautiful specimen of Australian raw copper ore teeming with various minerals including Azurite and Malachite. 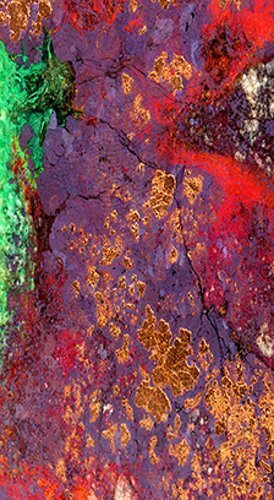 However, this image required digital technology to create an image that combines art, nature and technology. It is 198 x 68 cms 85/15% modal/silk, and printed in Como, Northern Italy where the tradition extends back to the beginnings of the Silk Road.